Home / Modern Pest Blog / Why Do I Need Mosquito, Flea, and Tick Service? Why Do I Need Mosquito, Flea, and Tick Service? Mosquito, flea, and tick season is upon us. When temperatures reach a consistent 50 degrees, mosquito eggs begin hatching and mosquito season begins. This means that in New England, the season starts in late April and early May. Early spring is also when fleas and ticks become active. Their bites, stings, and mere presence can be annoying, but they’re also dangerous. All three of these vector insects can transmit disease-causing pathogens to humans and pets. So how do you keep your family safe? And how can Modern Pest help? What Is Modern’s Homecare Mosquito, Flea, and Tick Service? The program protects against three main vector insects: mosquitoes, fleas, and ticks. The goal is to eliminate adult populations and prevent further reproduction, limiting the number of insects that could cause harm to your family. The Homecare Mosquito, Flea, and Tick program consists of six monthly treatments between April and September and effectively reduces flea, tick, and mosquito populations. The price per treatment is only $99 for up to one acre ($50 for each additional half acre). In conjunction with our liquid materials, PLUS+ involves the application of a granular material to target areas where tick nymphs and larvae are most active. It is highly effective in reaching ticks during these stages, which are most often associated with disease transmission. It also helps to reduce the population for the following season. Combining PLUS+ with Modern’s traditional liquid application will provide even better protection for your family and pets. Mosquitoes, fleas, and ticks spread disease-causing pathogens in humans, resulting in serious health issues and even death. Cases of mosquito-borne diseases like West Nile, chikungunya, and eastern equine encephalitis (EEE) are also on the rise. Fleas carry diseases that can affect humans and pets, including tapeworm, Bartonella (cat scratch fever), and plague. What Happens During the Service? 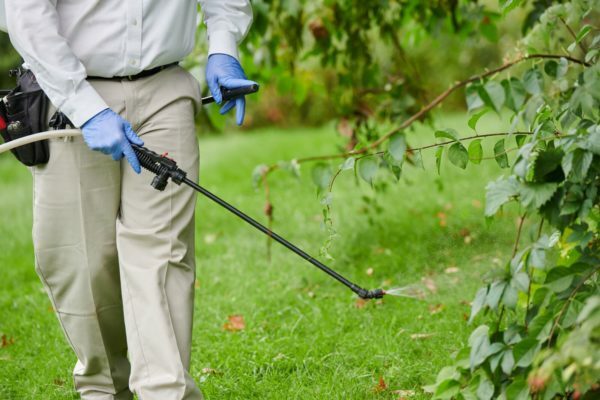 Preparation for your Homecare Mosquito, Flea, and Tick Service consists of making sure that all locked areas are open, all children’s toys and items in the yard are cleared, and pets are left inside in case nobody is home when we arrive (it is not necessary to be home). Modern’s Service Professionals are highly-trained and avoid applying materials in places that your family and pets frequent. They also avoid vegetable gardens and areas where pollinators like honey bees are prevalent. Your service begins with a careful inspection, locating pest “hot spots” to help minimize conditions that promote pest activity. Liquid materials are applied in areas of infestation to reduce any adult populations and prevent further reproduction. If you’re getting PLUS+ service, a granular material is also applied in May and August. Treatment is concentrated on the foliage around the perimeter of the yard, including a 3-5-foot band of transition area where the lawn turns into areas of foliage, and into the wooded area. Treatment will also be made to other areas of foliage and shade around the yard as deemed necessary by the technician. The material is non-transferrable once it dries and your family and pets can enjoy your yard again after a couple of hours. If it rains after your service, it’s ok. Once the product dries and bonds to foliage, the product will not immediately wash away. Typically, the product dries in as little as 15-20 minutes on an average day. Results can vary slightly from yard to yard depending on conditions in and around your yard and neighborhood. This is a reduction service and not a complete elimination of the vector species (mosquitoes, fleas, and ticks). 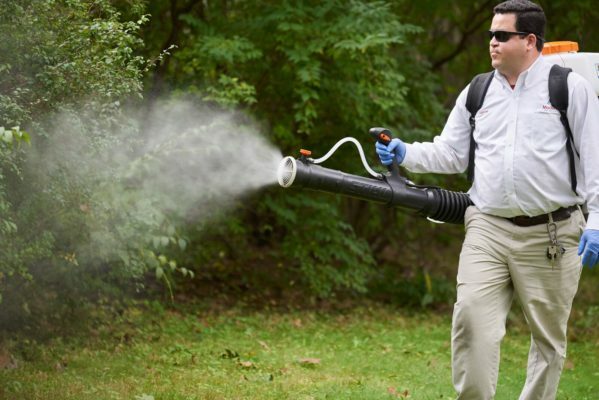 There should be a noticeable reduction in mosquitoes, fleas, and ticks in your yard. However, this does not mean that your yard will have no activity or result in zero bites. Take back your yard this year and contact Modern today to schedule your Mosquito, Flea, and Tick service. Applications start in April for the most effective results all season long. Call 1-800-323-7378 to speak with a client care professional or click here to get a free quote and schedule service. Don’t let vector insects keep you inside during New England’s most beautiful time of year!